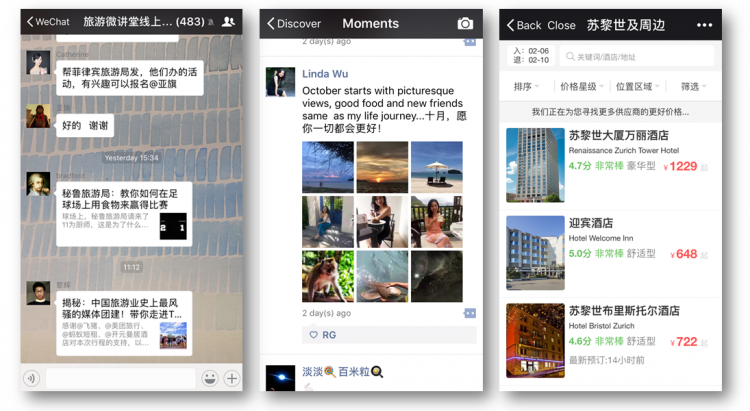 What’s the difference between WeChat and Weibo? How do you set up an official account on WeChat? 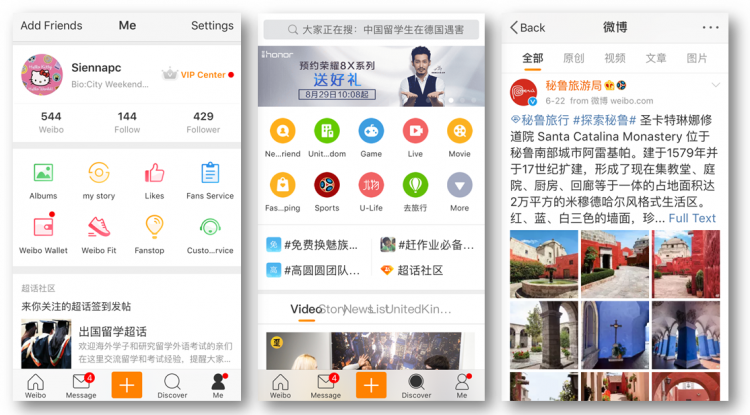 What’s the secret to building an audience on Chinese social media? We’ve answered the 10 biggest FAQs when it comes to digital tourism marketing to China. 1. I have not marketed to Chinese consumers at all. What’s the first thing I need to do to be successful? Check Chinese travel websites and social media to get an understanding of your reputation, or the popularity of your kind of destination/business. From this, you can learn which things are popular and should be promoted, and/or what things are problematic and need to be fixed. It can also give you an understanding of what kind of Chinese traveler your destination appeals to–the market is huge and very segmented, so it’s important to understand who you want to target: e.g., families, solo travelers, luxury travelers, women, etc. Also, get a Chinese name if you don’t have one, so that it’s easier to track and take ownership of what’s being said about you online. 2. I don’t have any staff that speaks Chinese. Will social media and marketing materials in English be effective? No. Although many Chinese travelers do speak English, especially independent travelers and those going to long-haul/niche destinations, this doesn’t mean they will want to research their trip in English if they can avoid it, especially when there’s so much information already online in Chinese. Plus, the SEO rankings on China’s no. 1 search engine, Baidu, favor content in Chinese. 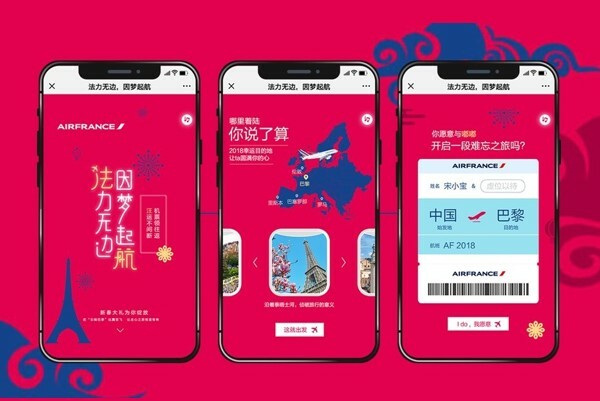 Having material in Chinese not only makes it easier for Chinese consumers to find you, but it also shows a welcoming attitude towards Chinese visitors. If you don’t have anyone on staff who speaks Chinese, consider hiring a Chinese university student as an intern, or working with an agency in China. For B2B, some agents will be happy with English-language materials, but attending events in China and working with the majority of the travel trade necessitates having Chinese-speakers and Chinese-language material. WeChat is China’s number one mobile app and social media platform, with over 1 billion monthly active users. 50% of users spent 90 minutes or more every day on the platform. It started as a simple chat platform like Whatsapp, but combines social sharing, marketing, services (including travel services), and mobile payments. It’s used as a work tool as well as a social one, so it’s important for both B2B and B2C marketing. Since 2017, WeChat mini-programs also offer LBS functionality as well as more marketing and sales tools. 4. What’s the difference between WeChat and Weibo? Weibo is a micro-blogging platform similar to Twitter. It came out earlier than WeChat, and used to be more popular, but went into decline for a few years. However, it has recently made a comeback, and had 431 million MAU (monthly active users) in Q2 2018. The rise of short video and live streaming has helped Weibo to make this comeback, as has its popularity with younger users and as a platform for luxury and celebrity content. It is an open system, unlike WeChat, where you can see posts, comments and likes from everyone–not just people who are your contacts. In terms of content strategy, posts on Weibo should be shorter and can be more spontaneous, and can more easily take advantage of current events/trending topics, whereas content on WeChat tends to be longer and more in depth. 5. How can I set up an official account on WeChat to market to Chinese tourists? Tencent, WeChat’s parent company, changes the rules about registering official overseas accounts on a regular basis, so it can be challenging to keep up. As of July 2018, it is possible to register an overseas account that can be seen by users in China directly through WeChat’s website. However, there are some catches: You can only sign up for a service account, not a subscription account, so this will limit you to posting content four times a month as opposed to daily. But many tourism businesses have service accounts, so this shouldn’t be too problematic. Your account must be verified, which involves paying a $99 fee to Tencent from a bank account registered to your business, and supplying a long list of documents, including your business license. Lastly, although the registration process on WeChat starts in English, some of the forms switch to Chinese. For additional support, you can contact WeChat directly, or get in touch with Dragon Trail for DIY step-by-step instructions. 6. How is Chinese social media different than Western social media? In China you need a VPN just to use Western social media platforms like Facebook or Twitter, and phones purchased in China cannot even access these apps to download, so you must use Chinese social media platforms to reach a Chinese audience. Unlike Facebook, WeChat is a closed system, so users can only see content, likes and comments from their contacts or accounts they follow. But WeChat offers many more services than any Western social media–for example, could you imagine paying your electricity bill on Facebook? Chinese social media users are more comfortable with promotions and sales, as well as influencer marketing. And, of course, Chinese social media platforms are subject to censorship, and this affects content–though this isn’t a factor that should particularly affect tourism marketing. 7. 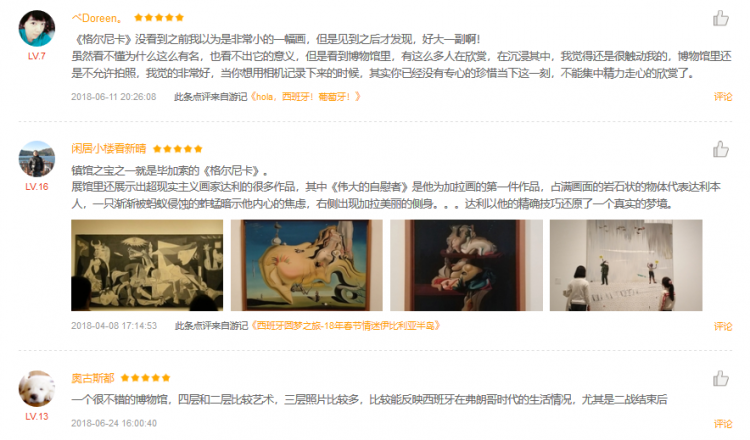 How do you build an audience on Chinese social media? Content: As with any social media, having good content is vital. User interaction: Promoting user-generated content and incentivizing your followers to interact with and share your account and posts is a great way to build up your follower base. There are many examples of travel brands using competitions to encourage user-generated content and interaction, with excellent and long-lasting results, including Destination Canada’s short video contest on Meipai, Tourism Australia’s #MeinAustralia campaign on WeChat, Viking Cruise’s winter 2018 competition to win a Rhine river cruise for you and your parents, and Air France’s Chinese New Year 2018 campaign to win tickets to Paris and other prizes. B2B: Don’t forget that the travel trade can help you build your audience, too. Sharing your social media accounts with Chinese travel agents means that they can then share content and account information with their clients as well as their colleagues. QR codes: QR codes are a great way to easily bridge the offline-to-online gap, and let visitors to your destination or business know about your social media accounts. You can display QR codes where visitors will see them, and place them in advertising, too, so that travelers can easily find and follow you on social media. This acronym stands for “Key Opinion Leader.” There are many different kinds of KOLs, including celebrities, internet celebrities, travel bloggers, and micro-influencers. KOLs can have a huge effect on travel preferences, but first you need to know your audience and your goals. Some travel brands will decide to partner with enormously famous Chinese celebrities, but bigger isn’t always better. Working with smaller KOLs–for example, the archeology blogger that worked with Visit Jordan in 2017–can help you reach a more engaged audience, and also save you money. It’s a good idea to think about your target market and choose KOLs accordingly. 9. Who is the typical Chinese tourist? This is a difficult question to answer, because the Chinese outbound travel market is increasingly large and segmented, and the “typical” traveler can depend a lot on the destination. To give some examples, countries closer to China attract less experienced travelers; cruises do well with families and older people; Canada gets a large number of Chinese visiting friends and relatives; and niche destinations like South America attract older, wealthier travelers. Generally speaking, the market is driven by the generation born in the 1980s, and by women, as well as Chinese from 1st and 2nd tier cities. 20-40 percent of Chinese outbound travelers are now free independent travelers (FITs), with another 40 percent or so opting for semi-independent travel, so tourism isn’t just about big coach tours anymore. However, many Chinese still prefer to travel with a small group of family members or friends. Traditional group tours still appeal to less experienced travelers, including older people, those who don’t speak English, and travelers from lower-tier Chinese cities. At the same time, travelers to niche destinations like Latin America may still prefer to travel as part of a package tour, as these destinations are less well known and/or established for Chinese tourists. As market demographics will affect what your Chinese visitors want from their experience and how they research and book their travel, it’s important to understand which market segments you attract or would like to attract, and adapt your marketing strategy to match. 10. I have a Chinese-language section of my website in my own country. Do I really need a website hosted in China too? Ideally, yes. Foreign-hosted websites can be slow to load in China, and they can even be blocked altogether, regardless of the content. China’s Great Firewall filters all information from foreign websites to make sure it’s safe for China, resulting in slow load times. Additionally, as many websites are hosted on a shared server, if even one of these sites has content that the Chinese authorities choose to block, it means that every other website hosted by that server gets blocked, too. To avoid problems, your Chinese website should be hosted in China with a .cn address. You’ll need to get a Chinese ICP license to register a website, which is a complicated process and requires that your company is legally registered in China, but an agency like Dragon Trail can obtain the ICP license and register the .cn domain on your behalf.